For the municipality in the canton of Schaffhausen, see Altdorf, Schaffhausen. Altdorf is the capital of the canton of Uri in Switzerland. It has an area of 10.23 square kilometers. 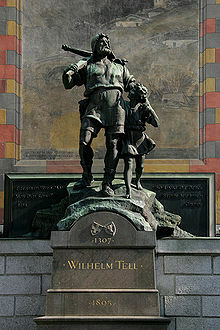 Wikimedia Commons has media related to Altdorf. This page was last changed on 4 July 2016, at 17:17.